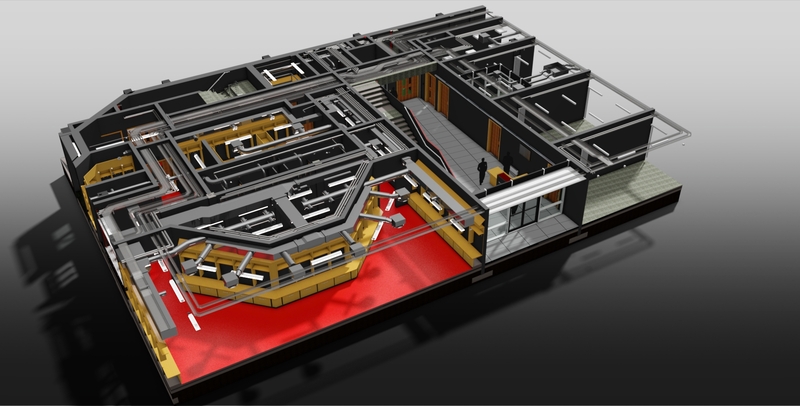 We engage with all stakeholders, from the Client and Design Team to the Building Operator and Construction Team to ensure a clear and concise BIM strategy. The BIM strategy for any given project is defined in our BIM Execution Plan which reflects the requirements as set out in the Employers Information Requirements document. We have design standards and protocols in place to arrange the production, distribution and quality of construction information as recommended in BS 1192:2007 and PAS 1192-2. Clash detection and co-ordination can be carried out across a number of platforms ranging from Naviswork and Autodesk Glue to Revits own interface check tool. Clashes are either resolved or noted for discussion at a clash detection workshop. Models are then validated prior to issuing, using Solibri or Naviswork depending on the requirements of the EIR.